Rosencranz and Associates is one of the leading personal injury law firms in Massachusetts. With offices centrally located in Boston, Rosencranz and Associates serves all of Massachusetts, and we will travel to your home anywhere in the state for a FREE consultation at your convenience. 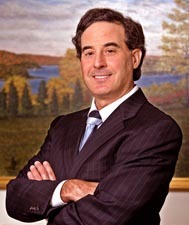 Mr. Rosencranz is the founding partner and lead attorney of Rosencranz & Associates.He has specialized in aggressively representing injured clients against insurance companies for30 years.Attorney Rosencranz is a graduate of University of Massachusetts at Amherst, and attended the Villanova School of Law where he graduated in 1981. His successful representation of injured clients has been recognized by the local Boston media, andAttorney Rosencranz takes great pride in his firms long success through its goal of complete client satisfaction and personalized legal attention to the needs of each and every client.